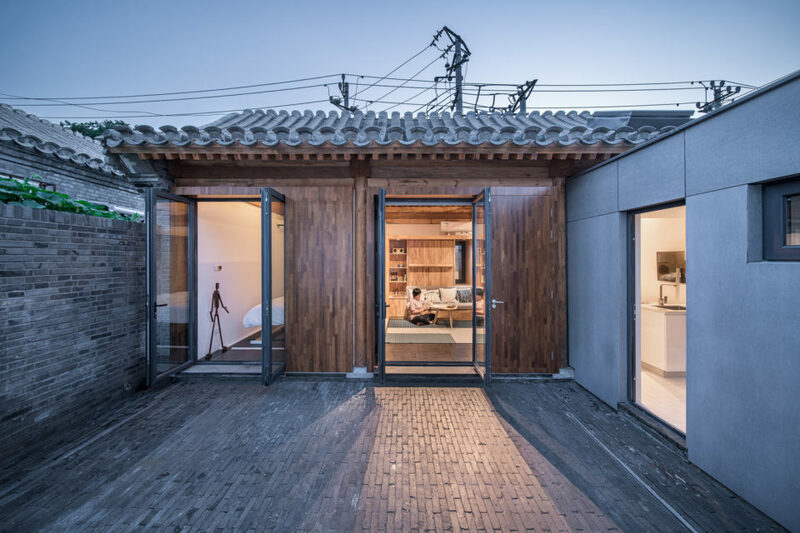 A company that produces smart home technology commissioned Dot Architects to build “Baitasi House of the Future,” an experimental house located in a historic hutong area of Beijing. 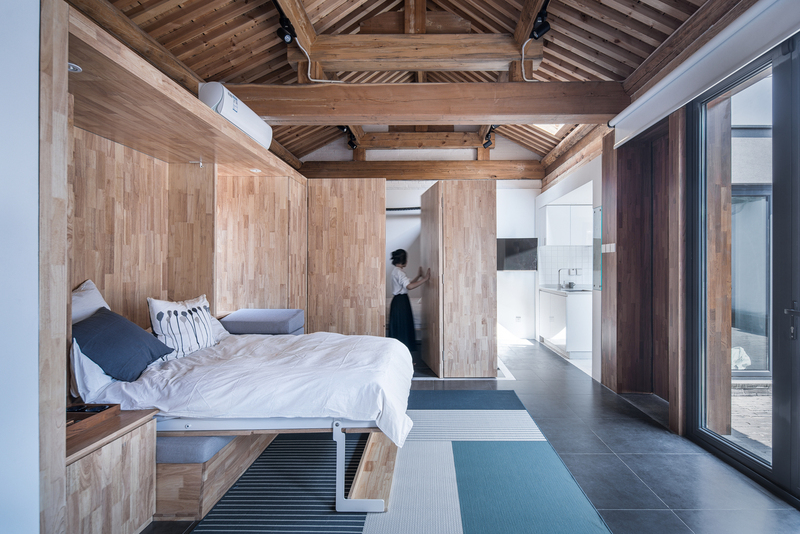 Part of the home’s layout is inspired by the architects’s belief that “the boundary between home and society is blurred by the rise of the sharing economy, nomad workers and technology,” leading to fragmented lives that can’t be served by a conventional fixed layout. 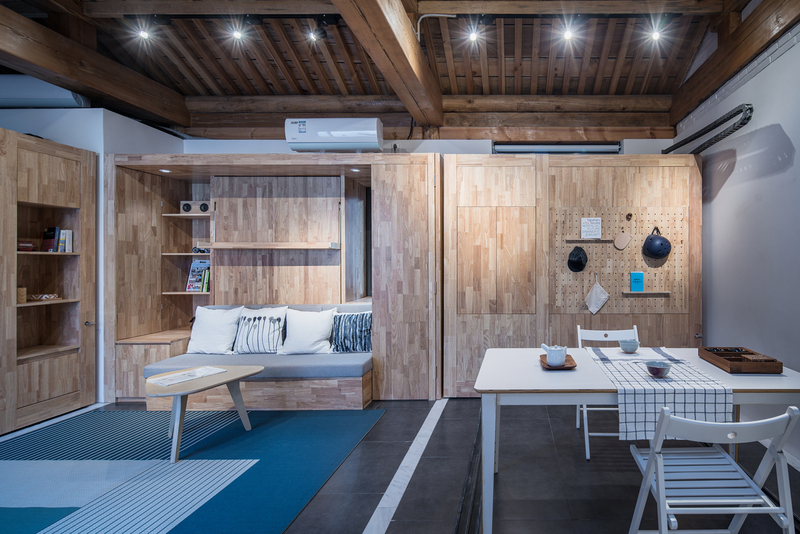 Movable modules within the home controlled by a smart TV system slide around to offer four different layout options, shifting the entire house from a three bedroom home to a small office. Even the facade opens up to connect the living space to the outdoors. Some transforming furniture and other elements the home still have to be assembled by hand, but the process is largely automated. Privacy concerns around glass architecture could soon disappear thanks to curtains that close or glass facades that switch from transparent to opaque at the touch of a button. That could make large expanses of glazing much more popular for all sorts of applications, allowing for a lot more natural daylighting, enjoyment of views and a sense of connection to the outdoors. It could also make sort of completely transparent bathroom designs sometimes seen in modern Japanese houses a little more palatable to the average Westerner. One common reaction to the proliferation of smart technology is a snarky comment about how lazy humans are becoming. Can’t we open doors, turn on lights, pause the television and adjust the curtains with our own two hands? Well, no. Many of us can’t. We live in a world that has long prioritized the young and able-bodied at the expense of everyone else, assuming most people can easily get up stairs, reach typical countertop height to perform tasks, grip objects and see where we’re going. Conventional approaches to everything from floor plans to kitchen sinks exclude a sizable percentage of the general population. The alternative, a movement called Universal Design, argues that all built environments should be designed to meet the needs of all people who wish to use them. That includes changing both the physical form of structures and how we access them – including the integration of automated processes, sensor technology and artificial intelligence. As AI continues to develop, we could soon see smart environments that don’t just respond to our commands in order to adjust things to our needs and preferences, but do so automatically. 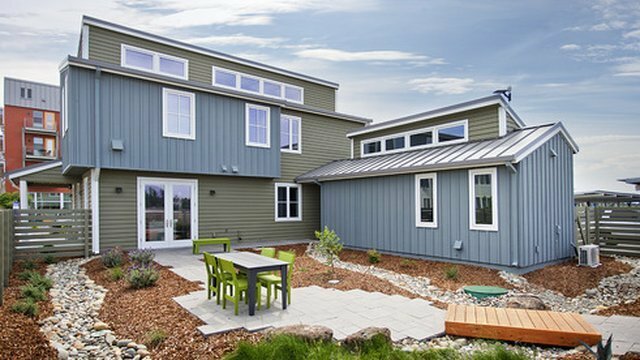 Access to open-source architecture is playing a central role in the development of smart homes like the Baitasi House of the Future, which features an extension constructed using the WikiHouse platform. 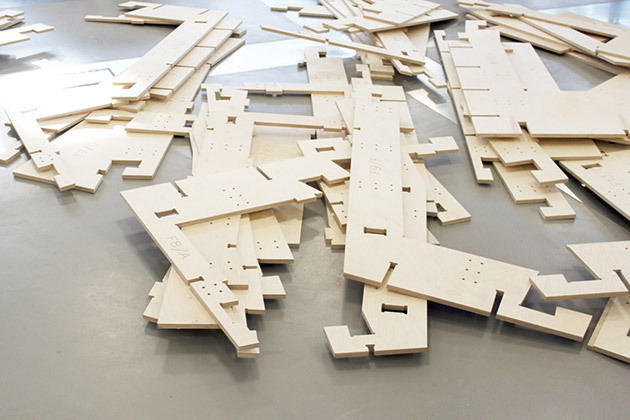 WikiHouse provides downloadable online templates that can be used to build houses using wooden components cut on CNC milling machines, easily slotting together. Honda’s Smart Home looks like the kind of low-cost contemporary urban housing you can find in just about any city in the United States, but on the inside, it’s a showpiece of smart technology that produces more energy via solar panels than it consumes. Everything from the music to the lights to the blinds is controlled through an iPad app – but most importantly, the plans are all open-source, ensuring that the success of the house can be replicated for the common good. 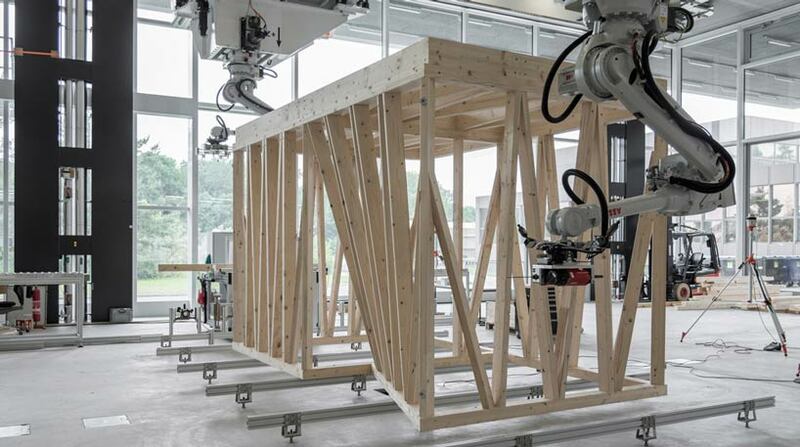 When actions like moving walls, transforming the opacity of glazing and gaining unprecedented control over climate control capabilities are possible through smart technology, it follows that the process of building construction will soon be carried out in similar ways. Recent advances in technology have already democratized the design process to a large degree, allowing clients to see what a renovation might look like with the use of 3D virtual overlays, for example. 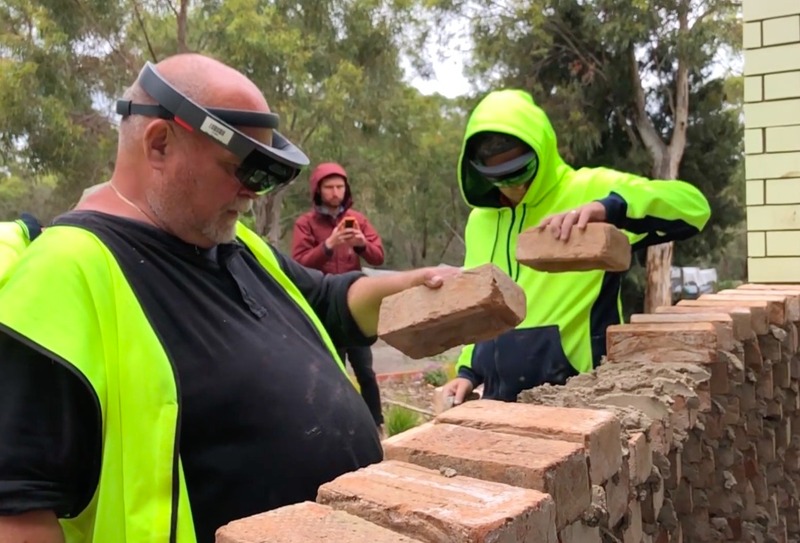 Augmented reality could help living, breathing, non-robotic workers construct complex designs. Integrated AI systems could soon connect digital renderings, 3D printing, robotic construction and other high tech ways of designing and building, transforming and potentially automating every step of the process down to the final aesthetic touches. Concepts like the SYMBIOZ house and car combo by Renault envision a near future in which higher end, privately owned autonomous vehicles take a place of honor right in the center of the home, integrating into the living space instead of being relegated to a garage. The emissions-free, all-electric car becomes a room within a room to make the transition between home and travel more seamless and comfortable. The car can even act as an energy generator in case the power goes out. But you don’t have to live in a brand new structure that practically puts your car on an altar in order to benefit from a connection between smart cars and smart homes. For example, Ford is working on integrating its cars with the Amazon Echo and the Wink smart home platform, allowing users to control home systems while still en route or check your car’s diagnostics from the comfort of your couch. Ultimately, as cities evolve, smart infrastructure and integration with automated vehicles could revolutionize public transit as well, using location, weather data and traffic monitoring to make getting from your door to your destination more efficient than ever. This is also the reason why Honda got into the smart home game in the first place. The auto manufacturer believes that automation between buildings and vehicles should be seamless, and that developing efficient and clean technologies for both is integral to fighting climate change. There’s (at least) one big caveat to all of this, very real privacy concerns aside. Technology is constantly changing, and it can quickly feel out of date. Anyone who owns a car with its own circa 2010 built-in GPS system has experienced firsthand how features like this can become redundant and obsolete within a matter of months after they’re installed. A much higher level of cross-compatibility standards will be necessary to make sure smart home devices from different manufacturers are able to work with each other, like Honda’s Smart House energy management system meshing with smart dishwashers from Bosch and refrigerators from KitchenAid. But systems will also have to be built with frequent upgrades in mind, which requires a level of flexibility and adaptability a lot of architecture can’t currently accommodate. Embracing change as a constant (and preparing for the end of a structure’s usability) must extend to the ways in which we design and build everything around us. And just as importantly, smart home technology needs to be egalitarian, integrated into housing that’s legitimately affordable rather than a feature that’s only accessible to the wealthy.